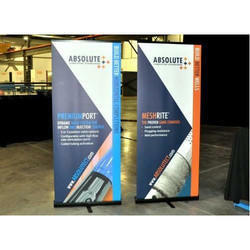 Keeping the diverse requirements of customers in mind, we are instrumental in providing Roll Up Banner Stand. An innovative way to advertise your product. Light weight and portable! We have been counted amongst the most trusted names in this domain, engaged in providing Roll Up Banner Stand.